Name : Rate Me 5 Stars Plz. 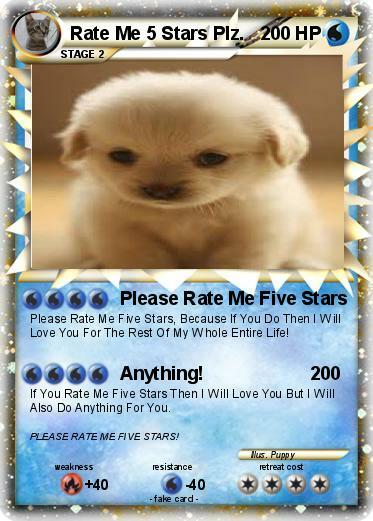 Please Rate Me Five Stars, Because If You Do Then I Will Love You For The Rest Of My Whole Entire Life! If You Rate Me Five Stars Then I Will Love You But I Will Also Do Anything For You. Comments : PLEASE RATE ME FIVE STARS!